As a new mom to her daughter Mabel Jean, Cheyenne knows what it’s like to balance a high-powered career with an exciting home life. 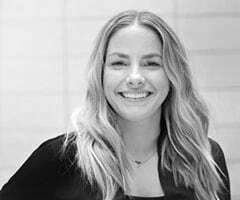 She’s passionate about helping her candidates connect with the perfect company that tailors to their exact career and life goals. Cheyenne’s approach helps competitive venture-backed startups score the most in-demand talent. Why do you love what you do at Quest Groups? I thrive in using my skills, critical thinking, and creativity to build long lasting relationships with my hiring managers and my candidates.